Checkout the Frequently asked questions on studying in Australia. If you have any questions, don’t forget to leave them in the comment section. Q1: What is so good about Australian education and training compared to other countries? Australia is an internationally recognised source of high quality education as well as research excellence. Our universities, vocational and technical education colleges and schools are world-class. And Australia is a world leader in English language courses for international students.Australian Government legislation requires quality assurance agencies and codes of conduct to be in place so that international students in Australia and their parents enjoy a level of service and financial protection that is unrivalled. Multicultural Australia is a safe, friendly, sophisticated and harmonious society in which students can learn and travel in an English speaking country. Australia also offers excellent value for money and a high standard of living. Q2: What are the entry requirements to study at Australian institutions? Students must meet minimum academic requirements and need a sufficient level of English language proficiency for entry to Australian education and training institutions. Institutions will assess whether you meet the selection criteria set for your proposed course of study. They will look at the level and content of the study you have completed in Australia or your home country. To be accepted to study on a student visa in Australia you will need to demonstrate a sufficient level of English language proficiency, and meet minimum academic requirements. English language skills are a requirement for receiving an Australian student visa. IELTS is the only test accepted by the Australian Department of Immigration and Citizenship (DIAC) for visa purposes. Institutions set their own English language requirements for course entry, and the IELTS score needed for your course may be different to the score needed to secure your visa. You should check entry requirements with your institution. Q3: Which is the entrance test for applying colleges in Australia for admission? STAT – Special Tertiary Admissions Test, aptitude test for non-school leavers. UMAT – Undergraduate Medical Admissions Test, required for undergraduate entry to many Australian and New Zealand undergraduate-entry medical schools. GAT – General Achievement Test (VCE Students – Victorian Certificate of Education). HSC – Higher School Certificate. Q4. What is the visa process for study in Australia? To be granted a student visa you must complete a visa application form, lodge it with the evidence required, pay the application charge and satisfy the student visa requirements. You can be granted a student visa only if you intend to study a registered course on a full-time basis and comply with a number of visa conditions after you have entered Australia. Q5. What is the minimum IETS score required to get into a Australia Institution? Min. overall band score of 6.0 IELTS or Overall band score of 5.0 IELTS plus max. 30 weeks ELICOS. Q6. How much are the living expenses for International Student? An Australian Government survey showed that in terms of total costs—including tuition fees and living expenses—Australia was consistently less expensive than the USA and UK. Tuition fees will vary depending on the course or institution this website provides average costs as a guide. Living costs too will vary by location, course and lifestyle. There is no doubt that Australia is the perfect place to enjoy a quality education and outstanding quality of life. What makes it even better is that Australia offers excellent value for money, with living expenses and tuition costs comparable to the United Kingdom and Unites States. Australians enjoy one of the highest standards of living in the world – without the expensive price tag. An average international student in Australia will spend about A$360 a week on accommodation, food, clothing, entertainment, transport and telephone. Remember, though, that this figure depends on your location, lifestyle and even your course. You should seek further information on living costs from your institution. Q7. What are the entry criteria for studies in Australia? Undergraduate: To gain entry into an Australian undergraduate course you will need to have an Australia Senior Secondary Certificate of Education (Year 12), or the overseas equivalent. Some undergraduate courses may also have specific per-requisite subjects. Postgraduate: As well as the satisfactory completion of at least one degree at undergraduate level, your institution may take research ability or relevant work experience into consideration. Vocational education and training: Generally there are no other entrance exams for VET institutions. However some courses may have specific per-requisite subjects or work experience requirements. Schools: Entry requirements can vary between schools in Australia, depending on the state or territory you will be studying in. Academic performance and ability is considered during the selection process. Q8. How are Australian institutions ranked? Australian institutions are not officially ranked. However, there are some commercial publications available that compare achievements of universities and institutions in meeting certain criteria such as use of technology or student support services. All of Australia’s education and training institutions offer high quality, internationally relevant courses because Australian Government legislation requires them to be registered and meet quality assurance measures. Excellence in teaching, research, facilities and support services is found across Australia’s diversified education and training system. Prospective students should focus on finding institutions that offer the course most suited to their particular needs and aspirations. Q9. Can I study for an Australian qualification by distance or on-line? Distance education courses are offered by Australian universities and vocational and technical education institutions. You will need to check directly with the institution about what courses are offered in distance mode. Distance education: If you want to study with an Australian institution but can’t leave home for all or part of your course, distance education could be the perfect solution for you. Distance education programs allow you to obtain a qualification from an Australian institution in your home country, or to combine study at home with study in Australia. Australia leads the world in the delivery of distance education programs. Institutions use leading technologies and innovative approaches to deliver programs that can be tailored to meet your needs. Entry requirements: You should check with the institution of your choice about which courses are offered in distance mode, and their entry requirements. You will probably need an Australian Senior Secondary Certificate of Education (Year 12) or an equivalent certificate from another country for admission to undergraduate distance education in Australia. Institutions may also take into account your maturity, motivation, or work experience in a relevant area. Applying for admission in USA for an undergraduate course, you might have to give American College Test ( called “ACT” in short). This in universally accepted by all universities and colleges in USA. The basic objective of this test is to measures a student’s general educational development and capability to complete college level work. However, giving and getting good score in ACT is just one aspect of getting an admission in your desired university or college, there plenty of other stuffs you need to also consider like Statement of Purposes, Letter of Recommendations and deadlines. 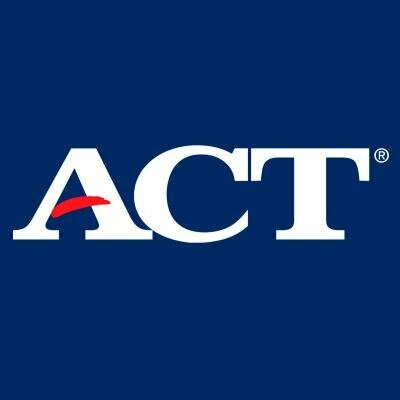 The ACT is not an aptitude test but is related to what a student has learned in his/her high school courses in English, Mathematics, Reading and Science. A student should concentrate on practising his high school curriculum. When are ACT Exam Held: ACT is held 5 times a year in month of February, April, June, September, October and December. Eligibility Criteria for ACT: A candidate must have completed 10+2 from a recognised board. Apply for ACT: Registration deadlines fall approximately five weeks before each ACT test date. Students will earn one ACT score (1 to 36) on each test (English, Math, Reading and Science) and a composite ACT score, which will be an average of these four tests. The composite score falls between 1 and 36. If, for example, a student scored 31 on the English, 30 on the Math, 29 on the Reading and 30 on the Science, his/her composite ACT score would be 30. The ACT includes an optional essay, known as the writing test. If one takes the writing test, he/she will receive a writing test sub-score and a combined English/writing score. The newly elected government of Canadian Prime Minister Justin Trudeau has introduced legislation to repeal a number of controversial changes to the Canadian Immigration Act. Under the previous Conservative government, a number of changes to the Act were packaged as Bill C-24 and passed into law in June 2015. Of particular interest to international students were provisions that made the path to Canadian citizenship more difficult for foreign graduates. One of the key requirements for a citizenship application is physical residency in Canada. Bill C-24 increased the residency requirement from three years to four. But it also eliminated a special provision that allowed 50% of the time spent in Canada on a work or study visa to be counted against that physical residency requirement. As the University of Toronto’s student newspaper, The Varsity, put it at the time, “The bill states that you must spend at least 183 days in Canada each year for a total of four years to qualify for citizenship. International students spend at least 240 days a year here; most international students are completing a four-year programme. According to these numbers, international students should be eligible for citizenship by the end of their degrees. In addition to including time spent in Canada on a study or work visa towards the physical residency requirement, Bill C-6 will also reduce the period of physical residency required to apply for Canadian citizenship. It reduces the physical residency requirement from four out of the previous six years to three out of the previous five years. As we reported last year, it was roughly 2005 when the Canadian government began to introduce policies designed expressly to help talented international students to become permanent residents of Canada. First introduced in 2008, the Canadian Experience Class programme was a notable example in this respect and it is considered to have been an important factor in the significant international enrolment growth that Canada has realized in the years since. Indeed, recent surveys by the Canadian Bureau for International Education have found that roughly half of the international students in Canada intend to apply for permanent residency at some point in the future. The path to the Canadian Experience Class programme was muddled somewhat in January 2015 by the introduction of a new system called Express Entry. We have written extensively about Express Entry in the past and readers who wish to have additional background are encouraged to review our earlier coverage. To sum up the mechanics of the programme quickly: anyone applying for permanent residency (via Canadian Experience Class or otherwise) must now first apply via the Express Entry system. All applications are scored within the system, and all applicants that score above a given threshold will receive an “Invitation to Apply” which then allows them to progress to the Canadian Experience Class process (or to another applicable programme under the Express Entry umbrella). Since the introduction of the Express Entry process, there have been a lot of questions about both the annual immigration quotas allocated to individual programmes, such as the Canadian Experience Class, and also about the scoring system used to rank and select applicants from the Express Entry pool. Modifications to the scoring system to better recognize the experience of living, studying, and working in Canada that international students bring to their Express Entry applications. Again, while it is not yet clear how the Canadian Experience Class will change as a result of the current government review, it seems certain that students, agents, and educators will watch closely for further developments on the file, particularly given its important to the residency and citizenship goals of many foreign students in Canada. 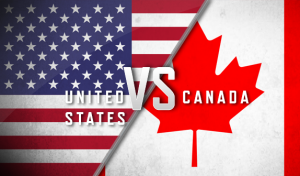 This article may be very useful when you are choosing between USA and Canada to pursue MBA or Masters in Management field. Doing MBA or a Management course from a foreign university can be very helpful in understanding business and trade from a global perspective. However, once an aspirant has zeroed down the choice of studying management abroad, the next likely question ahead him/her is about the destination or the university where one must study. The USA and Canada are the two obvious choices that emerge as foreign destinations to pursue Masters in Management, MBA or related postgraduate courses, for international students. The world-class universities and colleges, the quality of education and the variety of courses make these two as one of the top choices for any international student. United States of America have lots of one of the best universities in the world like Harvard University, University of Phoenix, and University of Southern California, etc. On the other hand, Canada also has lots of top class universities like the University of Toronto, University of British Columbia, McGill University, and University of Alberta etc. United States of America: Any person cannot get settled permanently in the US directly after completing MBA or a post-graduation in management. However, an individual can study and work in the US for some time basis the acquired work permit. Canada: Any person studying in Canada for two years or more and having a valid work permit under the Post Graduate Work Permit Programme (PGWPP) shall have better chances to get settled in Canada. The tuition fee may vary greatly depend on the institute. We here compare the approximate average expenses of doing an MBA in various countries. Request More Information: Zenith Abroad offers exciting, unrivalled services. For information on our various services, contact our Counsellor on phone nos. 011-45060102 on all working days between 9.30 AM and 6 PM (IST). or, email us at info@zenithabroad.com with your full details, for more information. MCAT or Medical College Admission Test is for the students who are planning to pursue their Medical education in either USA or Canada. The MCAT test is a standardized, multiple-choice examination. The test is designed to assess the examines problem solving, critical thinking and knowledge of Science concepts and principles prerequisite to the study of medicine. Almost all US Medical Schools and many Canadian schools require applicants to submit MCAT exam. MCAT scores are valid up to 3 years. MCAT is compulsory for both, a student who is about to start his/her medical education and an MBBS degree holder as well. What is the format of MCAT? MCAT tests a student’s Problem Solving, Critical Thinking and Knowledge of Science concepts. The sections include Physical Sciences, Biological Sciences and Verbal Reasoning. What can I expect in the Physical Sciences section? The Physical Science section of the MCAT exam assesses the introductory-level knowledge of general Chemistry and Physics to solve scientific problems. What can I expect in the Biological Sciences section? The section assesses the introductory level knowledge of Biology and Organic Chemistry to solve scientific problems. What can I expect in the Verbal Reasoning section? The section will assess your ability to understand, evaluate and apply information and arguments presented in text. How am I eligible for MCAT? Either you are fresh out of 10+2 or have just finished with your MBBS degree in both the cases you are eligible to appear for MCAT. What is the fee for MCAT? Students will be required to undergo a Medical Screening prior to their arrival in Malaysia in addition to the one they do after arrival. This step has been taken to protect the community from the spread of communicable diseases. EMGS (Education Malaysia Global Services) has introduced a new I-Card, which can be used as an international student ID Card. This will mean students will not be required to carry their passports from now on. The I-Card was issued free from July 1st until Sept 30th but is now being charged at RM 50 per year. As such, the EMGS Student Pass Processing Fee will be revised from RM 1,000 to RM 1,050 to include the cost of the card. All applicants whose applications which are pending submission to the International Students Dept. will be invoiced RM 50 and this needs to be settled when they arrive at HELP. If the card is lost, the student will need to make a police report and pay RM 50 for a replacement card. The card is valid for 1 year. If students change course or progress to another university, they will have to return the card to HELP to be returned to EMGS. Students will no longer need to carry their passport if they are holding this card. The card is issued by Immigration and is recognized by the Police as well. For existing students, the I Card will be issued to students upon renewal of visa. In spring 2014, Lower Saxony will be the last of Germany’s 16 states (known as Länder) to abolish tuition fees for undergraduate students at public universities. Both national and international undergraduate students at public universities in Germany will get free tuition from next year, and will only need to pay a small sum towards administration and other costs per semester (there are two per year). These low charges certainly help to make Germany attractive as a study destination, with recent figures showing it to be the fourth most popular country for international students (after the US, UK and Australia). And a recent HSBC report puts Germany at the bottom of a table of 13 countries in terms of the cost of studying abroad, with an average cost of just € 4,564 (INR 3.5 Lakhs) per year, breaking down to € 461 (INR 36,000) for fees and € 4,103 (INR 3 Lakhs) for living costs. Of course these are just averages – the amount it costs to study in Germany depends on variables such as your level of study and how long your course lasts, whether your university is private or public, and which German state you will study in. The cost of living in Germany is more expensive in some areas than others, with average costs ranging from €350 to €1,000 (INR 28,000 to INR 80,000) per month. Rent is cheaper if you’re in a shared flat (average rent of INR 20,000per month) or a student hall of residence (€200 or INR 16,000 per month). The average costs per month, according to Deutsches Studentenwerk, the German National Association for Student Affairs, are: €165 (US$227) for food; €52 (US$72) for clothes; €82 (US$113) for transport; €33 (US$45) for telephone, internet and TV license; €30 (US$41) for work/study materials, and €68 (US$94) for leisure activities. You won’t need a visa to study in Germany if you’re an EU national or a citizen of Iceland, Liechtenstein, Norway or Switzerland. Otherwise expect to pay around €60 (US$82.62), but there are fee reductions or waivers for Schengen visas. In order to fulfill the visa requirements, you will need to show proof that you have, or have access to, around €8,000 per year (US$11,015). You will also need health insurance as a pre-condition of registering at a German university. If you’re in the EU or the EEA, there should be a social security agreement between your country and Germany – provided you have public health insurance, you should be covered in Germany as well (full list here). If your health insurance is not valid in Germany, expect to pay between €80 (US$110) and €160 (US$221) per month. Although study in Germany is free for undergraduates at public institutions, there is a charge per semester for enrolment, confirmation and administration – usually around €100 (US$138). There may be an additional charge of around €100 for a “Semesterticket”, which covers public transport expenses for six months. There may also be a long-term fee charge if you exceed the period of study in Germany by more than four semesters, and this could be as much as €800 (US$1,103) per semester. Most universities in Germany are public. The private institutions have to rely solely on tuition fees for their funding, and charge up to €20,000 (US$27,573) per year as a result. The University of Witten-Herdecke, for example, charges around €15,000 (US$20,685) for a degree, but offers flexible finance options, giving students the choice whether to pay tuition fees from the start or pay a percentage based on income after graduation. The Federal Student Financial Aid Program (BAföG: Bundesausbildungsförderungsgesetz) is available for German nationals and EU students, and even for foreigners under select conditions. Generally this aid is for those under 30 years old, or under 35 for those studying for a master’s degree. But exceptions can be made depending on circumstance. The grant covers basic living and training costs. In addition, the Education Loan provides more funds in the form of a low-interest loan. Master’s degrees in Germany are usually free if they are classed as “consecutive” – a continuation of a corresponding bachelor’s degree (again, there is a charge per semester for enrolment, confirmation and administration, plus a Semesterticket). But a “non-consecutive” masters can cost more than €10,000 (US$13,782) per semester, and private institutions can charge up to €30,000 (US$41,345) per year for a master’s. For example, Germany’s top-ranked institution, the Ruprecht-Karls-Universität Heidelberg, lists fees for non-consecutive master’s degrees ranging from €2,050 (US$2,825) per semester for a Master of Science in Biomedical Engineering to €6,000 (US$8,268) per semester for a Master of Science in Health Economics. At PhD level, tuition is once again free at all German institutions – for the first six semesters. Again, you will be required to make a semester contribution of between €150 (US$207) and €200 (US$275) for administration and other costs. The German Academic Exchange Service (DAAD: Deutscher Akademischer Austausch Dienst) provides support for German and international students to study abroad, in the form of scholarships for German and international students, academics and researchers. Australia now has around 630,000 international students from over 140 countries around the world. They are enrolled in a wide range of disciplines at every level of education, including short-term English language courses, bachelor and masters degrees right through to doctoral degrees. Whichever course you choose, you’ll experience a unique kind of education. Studying in Australia promotes innovative, creative and independent thinking. You’ll learn to work as part of a team, to communicate effectively with others and to develop the practical skills and intellectual abilities you need for global success. Most importantly, you’ll learn how to use your initiative. Your teachers will encourage you to think of original, practical solutions to real-world problems. Upon graduation, your qualification will make you highly sought after by Australian and international employers. Every day throughout the world over a billion people rely heavily on Australian inventions. Every time they drive a car, fly, prepare a meal, use a laptop or Smartphone or spend some time in hospital there is a good chance they are relying on Australian inventions or discoveries. Australian inventions include the very old, such as the boomerang and the woomera, and the very new, such as the scramjet, first fired at the Woomera rocket range. Australians have been leaders in inventions relating to both maritime and aeronautical matters, including powered flight, the black box flight recorder, the inflatable escape slide, the surf ski, the wave-piercing catamaran and the winged keel. The economy of Australia is a developed, modern market economy with a GDP of approximately US$1.2 trillion. In 2009, it was the 13th largest national economy by nominal GDP and the 17th largest measured by PPP. Australia still benefits from the wealth on and under its land and seas. Natural resources and energy companies remain well represented on our list of Australia’s 40 biggest companies. BHP Billiton and Rio Tinto, two mining giants, occupy second and fourth places in the list. The top ten is rounded out by banks, financial services firms, a telecoms group and food retailers. The full 40 spans multinationals in a range of industries, from Fosters, synonymous with beer but whose wine business is now its larger part, to Qantas Airways to Macquarie Bank, which has developed an investment banking niche in large-scale infrastructure and is the world’s largest operator of private toll roads. Australians are very friendly and helpful people, with a great sense of humor and a natural ability to tell jokes and play with words. Sometimes they may appear cold because of their “private nature” which has been imported over the past 2 decades, but it is just takes time to “break the ice”, and everything goes well. It means you can talk about any subject, but for more personal matters, things will take a little bit longer to come out in the open. In reality, Australia is considered one of the most competitive nations on Earth. This covers all areas of life including the work place. New rules that aim to strengthen Canada’s status as a study destination of choice for prospective international students will take effect on June 1, 2014. The new regulations will improve services to genuine students, while protecting Canada’s international reputation for high-quality education and reducing the potential for fraud and misuse of the program. Applicants must enrol in and continue to pursue studies in Canada. Failure to do so could lead to removal from Canada. Study permits will only be issued to successful applicants who are pursuing studies at an educational institution that has been designated to receive international students. Study permits will automatically authorize the holder to work off-campus for up to 20 hours per week during the academic session and full-time during scheduled breaks without the need to apply for a separate work permit. The study permit holder must be pursuing academic, vocational or professional training of six months or more that leads to a degree, diploma or certificate at a designated institution. Only international students who are pursuing studies at a secondary school or at a designated institution may apply for a Co-Op Work Permit if a co-op placement is an integral part of their course of study. Visitors may apply for a study permit from within Canada if they are at the pre-school, primary or secondary level, are on an academic exchange or a visiting student at a designated learning institution, or have completed a course or program of study that is a condition for acceptance at a designated learning institution. A study permit becomes invalid 90 days following the completion of studies unless the foreign national also possesses a valid work permit or another authorization to remain in Canada. Registered Indians who are also foreign nationals may study in Canada without a study permit as they have the right of entry into Canada. Eligible international graduates will be authorized to work full-time after their studies are completed until a decision is made on their application for a Post-Graduation Work Permit. Education is the responsibility of the provinces and territories. The educational institutions that will be designated will be determined by provincial and territorial governments in coming months. International students enrolling in courses in Canada that will last six months or less do not need a study permit. This is not changing. Students from countries whose citizens require a visitor visa will still need a valid visitor visa. Study permit holders who are studying at a non-designated institution when the new regulations come into effect will be permitted to complete their program of study, up to a maximum of three years after the regulations take effect. International students who are studying at a non-designated institution and hold either an Off-Campus Work Permit or a Co-Op Work Permit will be permitted to continue to use, and renew if necessary, those work permits until they complete their program of study, up to a maximum of three years after the regulations take effect. Additional operational measures to support transitional regulations will be announced closer to June 1, 2014, when the new rules take effect. Copyright © 2009 ZENITH ABROAD OFFICIAL BLOG. All Rights Reserved.